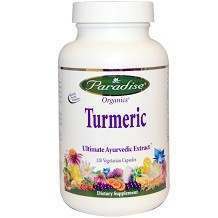 Turmeric is manufactured by Paradise Herbs claims to be a wholly holistic organic form of turmeric. The company believes that their turmeric is capable of treating the whole person including mental and social situations. They claim to use a 100% natural extraction method to ensure that you are receiving the full benefits the herb has to offer. According to the Ayurveda traditional medicinal uses, turmeric is most beneficial for increasing flexibility, increasing ligament, tendon and joint support, as well as improving digestive functioning. Paradise states that their product, Turmeric can also help support a good night’s sleep while cleaning and purifying the body. Turmeric is used in both medicine and as a food additive. Its unique coloring allows foods to take on a bright yellow to orange tint. People in South Eastern Asian countries usually eat diets rich in turmeric and report many benefits from it. It has been found to increase brain functions and balance the chemicals dopamine and serotonin which in turn decrease episodes of depression while increase mood levels. Turmeric is well known for decreasing inflammation in the body as well as possibly protecting a user from heart disease and certain types of cancer. 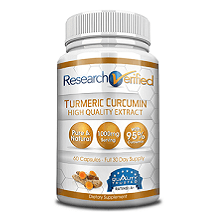 Due to the increase in popularity of turmeric curcumin there has been an influx of companies manufacturing this as a dietary supplement. We decided to look further into this product to see exactly what its ingredients are and if the company is reputable. Cellulose capsule, free of binders, fillers and animal based byproducts. Paradise Herbs states that this product does not contain wheat, corn, soy, yeast, preservatives or artificial ingredients. Turmeric is to be taken in the form of one capsule daily or as directed by your health care provider. Paradise Herbs does not sell their Turmeric product directly on their website. However they do have a search engine to locate the nearest store to you that it is available at. Alternatively, it is available on third party retail sites for the suggested price of $23.99 for 120 capsules. If taken as directed, this would be enough for a four months’ supply. As Turmeric is not sold on the Paradise Herb website, you will have to rely on guarantees or return product policies available through their third party retailers. Turmeric by Paradise Herb is well packaged and reasonably priced in comparison to other products available on the market. However, it does not match the quality found in other similar products out there. It does not carry a guarantee neither does it appear to be FDA Inspected.